A bird’s eye view gives ECOBAT the ability to provide well-matched battery systems for materials handling equipment. ECOBAT Battery Technologies was recently formed from the consolidation of three independent businesses operating within the ECOBAT Group, including Manbat Industrial in the UK. So, what does this mean for customers, current and potential, in the UK? ECOBAT's Myles Pemberton says: “The new move gives us scale, we can do more things in a more joined-up way. We can source globally from world-leading manufacturers, and as a Pan-European business, we can minimise currency issues. This allows us to pass savings on to customers. For ECOBAT, a battery is definitely not just a battery, different applications require batteries and chargers that work together in the most effective way, it can be very nuanced. One notable recent example is with Saint-Gobain Glass. 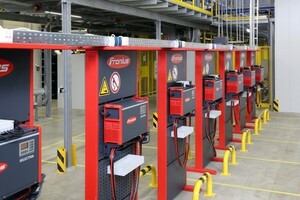 ECOBAT, in partnership with Fronius UK, provided a solution for the fleet of forklifts used at Saint-Gobain’s Eggborough facility. The fleet consists of some 20 HUBTEX forklifts and specialist glass moving machines, which are equipped with a variety of batteries utilising a combination of chargers of various outputs. The intelligent solution supplied by ECOBAT and Fronius will provide an annual cost saving at the end of year one of £33,365, which will increase to £68,143 for year two and by the end of the five year cycle, a substantial saving of £181,672 will be made. 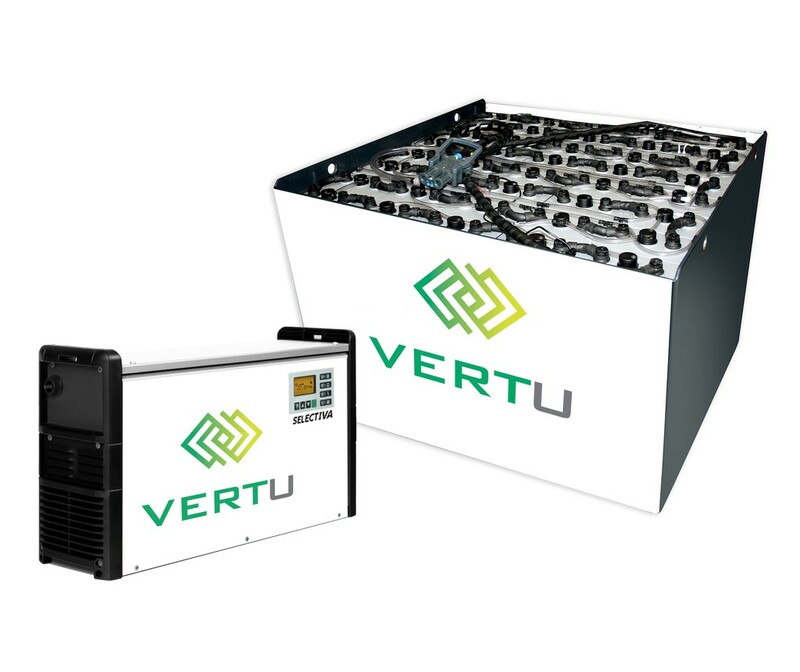 ECOBAT has developed this concept further with VERTU - a high end range of battery systems that provides a best match of charger and battery. While the system comes with a higher initial investment, ECOBAT says it will save money over time. As well as benefits for the end-user who actually pays the energy bills, the VERTU range also enables truck dealers to show they can deliver real long term added value benefits to their potential customers, rather than simply being ‘the cheapest’ in the initial round of negotiations. ECOBAT is a manufacturer of components for lead-acid batteries, and also acts as distributor and service provider for batteries. It is the world’s largest producer of lead (840,000 tonnes/p.a.) and provides a ‘closed loop’ as a lead recycler, which means it can collect, dismantle, recycle and resupply lead and related components. Around 80% of its lead production is recycled lead. 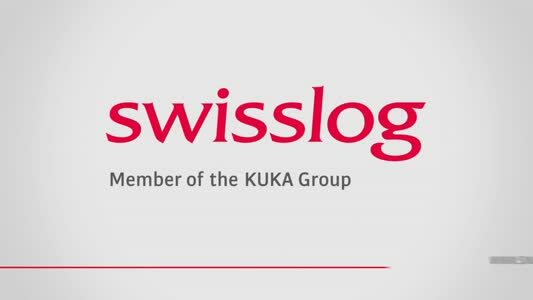 It has 29 facilities globally, annual revenues of c.$3 billion and over 3,500 employees. The company says in a typical warehouse operation running eight powered pallet trucks, four reach trucks and two large counterbalance trucks on a double shift basis, VERTU could return cost savings of almost £60,000 over a five-year period. 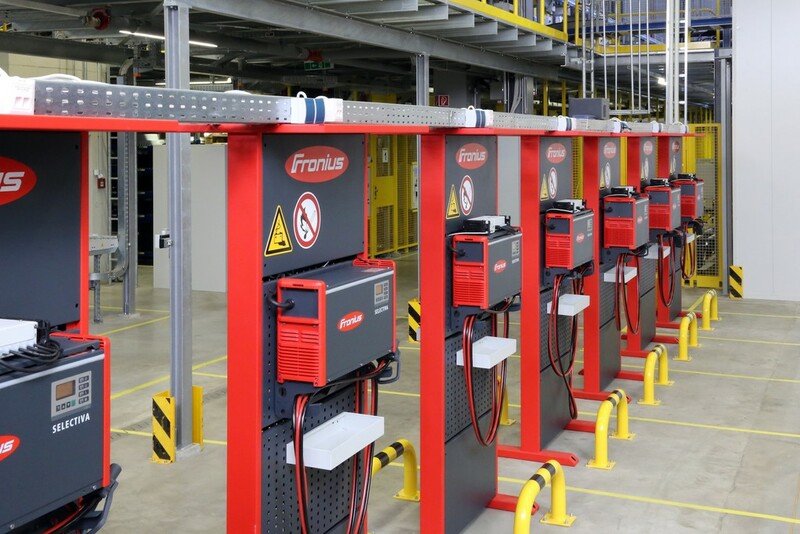 “The downside of going for cheap batteries up front is they don't tend to work as well down the line and that will have an impact on forklift productivity, with more downtime, and likely more cost. Higher quality batteries up front will pay dividends over the longer term,” says Myles. While ECOBAT is a Europe-wide group and able to draw on the power of the group for purchasing etc, UK management very much has autonomy in the UK, with the company run by the same team. Indeed, the corporate team responsible for tying the European operation together is based in the UK.